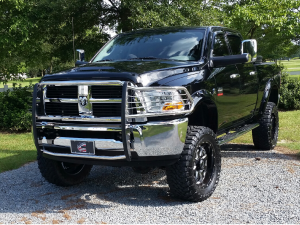 2012 Ram 2500 ST Crew Cab 4x4. Black. 5 inch Rough Country Lift. BDS traction bars. BMF REPR 20x9 wheels. 35 inch Toyo MT Tires. Flo~Pro 5 inch Turbo Back Exhaust. ARP 625 Head Studs. Custom MCC Tuned by me with a H&S Mini Maxx. (Switching to EFI Live Soon) Stock turbo and fuel (for now). Stock 68RFE transmission and converter (for now). 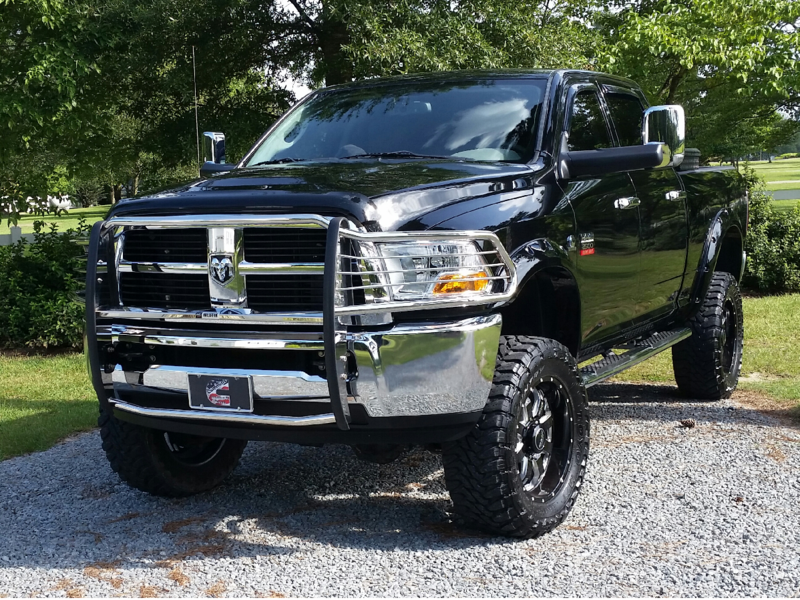 1 Comment on "2012 Ram 2500"